Commonwealth Land Trust strives to end homelessness by providing many of Massachusetts’ most vulnerable residents with affordable housing and the supportive services necessary to rebuild their lives. CLT’s diverse network of volunteers and supporters take an active role in ending homelessness. Their talents and dedication enhance the services we provide to our residents and they are a constant inspiration to our staff. Volunteers and interns serve in every branch of our organization, including case management, supportive housing, administration, finance, technology, and the arts. To apply, review our position descriptions and send your resume and cover letter to jmarquez@commonwealthlandtrust.org. Please note the position you are applying for in your cover letter. If your skill set does not match our online position descriptions, please describe your background, interests, and project ideas in your cover letter. 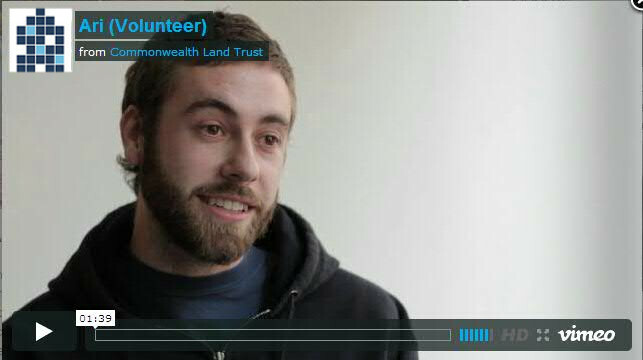 Over the years, hundreds of talented volunteers and interns have donated their time to Commonwealth Land Trust. Click here to meet some of our most dedicated volunteers. To spread awareness of Commonwealth Land Trust’s volunteer and internship opportunities, please download our Volunteer Program Brochure.